John Calvin, the Reformer who recognized that prophecy comes attached with tacit conditions. Several years ago I wrote a brief blog post highlighting the–often unstated–contingent nature of prophecy. You can read it here. This idea is important for interpreting many Biblical and modern prophecies. My friend Robert Boylan shared with me an essay by Richard Pratt, a Reformed scholar (he shared it in the comments section of the above referenced blog post). The Old Testament abounds with examples of unqualified predictions of events that did not take place. For instance, Jonah announced, “Forty more days and Nineveh will be overturned” (Jonah 3:4), but God spared the city (Jonah 3:10). Shemiah told Rehoboam, “You have abandoned me; so, I now abandon you to Shishak” (2 Chr 12:5), but the attack was mollified (2 Chr 12:7-8). Huldah declared to Josiah, “I am bringing disaster on this place and its inhabitants” (2 Kgs 22:16), but the punishment for Jerusalem was later postponed (2 Kgs 22:18-20). Micah said to Hezekiah, “Zion will be plowed like a field” by Sennacherib (Mic 3:12; cf. Jer 26:18), but the invasion fell short of conquering the city (2 Kgs 19:20-35). In each of the examples, the predicted future did not take place. What caused these turns of events? Each text explicitly sights human responses as the grounds for the deviations. The people of Nineveh (Jon 3:6), the leaders of Judah (2 Chr 12:6), Josiah (2 Kgs 22:17) and Hezekiah (Jer 26:19) repented or prayed upon hearing the prophetic word. Nor does the Sacred History, while it relates that the destruction which had been proclaimed to the Ninevites was remitted (Jonah 3:10), and the life of Hezekiah, after an intimation of death, prolonged, imply that the decrees of God were annulled (Isa. 38:5). Those who think so labour under delusion as to the meaning of threatening, which, though they affirm simply, nevertheless contain in them a tacit condition dependent on the result. John Calvin recognized that even a prophecy which is “affirm[ed] simply” may still be subject to unstated conditions for their fulfillment. At first glance, this passage appears to present a straightforward test. Failed predictions mark false prophets. As parsimonious as this interpretation may be, it does not account for the many predictions from canonical (and thus true) prophets that were not realized. Pratt goes on to discuss Jeremiah 18:7-10, which is also discussed in the FairWiki. This passage clarifies once and for all that anything spoken by the Lord has tacit conditions which must be met. Even if not explicitly stated, these conditions nevertheless exist. 4 Comments Posted in . This is nothing new, but it is a great quote that I recently had the opportunity to re-read. It seems that 1 Peter’s exhortation to “be ready always to give an answer to every man that asketh you a reason of the hope that is in you” charters and legitimates the use of reasoned argument in support of the gospel of Jesus Christ. Frankly, the idea that active Latter-day Saints might (or even should) feel no obligation to use what they know in order to defend the church against its critics, or to help struggling Saints, strikes me as exceedingly strange. Our responsibility as members of the Church of Jesus Christ of Latter-day Saints to love and serve the Lord with all our heart, might, mind, and strength implies such an obligation, and our temple covenants absolutely entail that we sustain and defend the kingdom of God. In a sense, the scholar, thinker, teacher, or writer who places his or her skills on the altar as an offering to God is no different from the bricklayer, knitter, carpenter, counselor, administrator, dentist, accountant, youth leader, farmer, physician, linguist, genealogist, or nurse who donates time and labor and specific abilities in the service of God and the Saints and humanity in general. Leave a comment Posted in . I want to put pen to paper (so to speak) on a hypothesis that I’ve developed regarding Lamanite skin color. I welcome feedback! Lehi and co. arrived somewhere in Mesoamerica. This isn’t necessarily vital to my theory, but it is helpful. At their time of arrival the Americas, including Mesoamerica, was populated with natives of varying levels of civilization, culture, and skin shades. The Nephites AND the Lamanites both intermixed with the native population. Racism, in some form, was present in the ancient world. It need not look exactly like racism in modern American history, but skin color did play a role in societal identities. I do not believe that there was a significant or notable difference in literal skin color between the Nephites and Lamanites, at least not after the first generation or so after Lehi. I think that Nephi and Jacob saw the children of the Lamanites getting darker skins as they intermarried with the native population, which possibly had a darker skin shade, and developed a theology of light skin/dark skin based on righteousness/wickedness. Ancient cultures often saw a strong metaphorical connection between white/black and light/dark with righteousness and wickedness. This metaphor permeates the Book of Mormon. 1 Nephi 12:23 — Nephi sees that the future Lamanites are “dark” compared his seed. Due to the visionary nature of this, great caution must be taken in extrapolating real world implications. 1 Nephi 13:15 — Nephi sees that the future Gentiles are “white” like his descendants. The same caution as above must be heeded. 2 Nephi 5:21 — Nephi unambiguously says that the Lamanites have a “skin of blackness” “because of their iniquity”. 2 Nephi 30:6 — Nephi, prophesying of distant future events, predicts that his seed who are converted by the Gentiles will become a “white and delightsome people” (1830 wording). Jacob 3: 5, 8-9 — Jacob unambiguously refers to the “darkness of [Lamanite] skins” which came about because of the wickedness of their fathers. So, of these first generation references to skin color theology three of them are visionary and/or prophetic in nature, while two of them are fairly unambiguous references to things Nephi and Jacob had seen in the real world. It is clear that Nephi and Jacob believed that Lamanite skin colors had become darker and they attributed it to God’s curse on them for iniquity. They enshrined that belief in their written record and it influenced how they interpreted visions and prophecies. After the first generation of Nephites died, the skin colors of the Nephites began to look just like the Lamanites as they too began to intermix with the natives. They held out on intermixing with the natives longer than the Lamanites, but likely not much longer. As a result the Nephite theology of skin color was quickly lost, except perhaps by those elite record keepers who probably didn’t know what to do with it most of the time. After these first generation skin color references it isn’t until Mormon, writing 1000 years later, is retelling events in Nephite history that we see it again. Alma 3:4-16 (Author: Mormon) — Amlicites mark their foreheads red “after the manner of the Lamanites” to distinguish themselves from the Nephites. An aside is then given regarding the Lamanites supposedly darker skin color. Lamanite skin color is not an important plot point when this passage is read carefully. 3 Nephi 2:14-15 (Author: Mormon) — The skins of Lamanites who join the Nephites “became white”. This is an aside, not an important narrative point. Mormon, as an elite record keeper, knew about Nephi’s and Jacob’s theology of skin color and so he added that as in interpretive layer on two separate occasions. In neither case was it a fundamental part of the narrative, but more of an aside. He left it out time and time again in so many other highly applicable stories. Captain Moroni, working to free Nephite prisoners, sends wine to their Lamanite guards, hoping to intoxicate them (Alma 55). Because they would not accept such a gift from a Nephite, Moroni finds a Lamanite in his own troops, a former guard of the Lamanite king. Accompanied by other Nephites, this soldier takes the wine to the guards, and Moroni’s plan is successful. Of significance is the fact that Moroni had to “search” for a Lamanite soldier. Had he been “black” in contrast to the “white” of the Nephites, his identity should have been readily apparent. Furthermore, on his mission to the guards, Nephites accompany him. A color difference should have immediately been apparent to the guards, but they do not notice the discrepancy. The best explanation for needing an authentic Lamanite is that Moroni needed his language skills, not his skin color, for the ruse. The second half of the Book of Alma has many more instance in which skin color could have been easily brought into the narrative, or at least might have played a role in Nephite-Lamanite relations, but it isn’t mentioned at all. Mormon was inconsistent in his use Nephi’s and Jacob’s ancient theology of skin color, in most cases abandoning it. It wasn’t a reality in Mormon’s world, and he probably wasn’t quite sure what to do with it as he worked on his book. Making a long story short, I find the most likely scenario to be that references to skin color were based on early perceived or real changes in Lamanite skin color in the first generation, but that a light/dark skin dichotomy did not actually exist throughout the vast, vast majority of the history of Book of Mormon peoples. Yes, I am suggesting that Nephi and Jacob were racist. They should have been. It would be in keeping with their historical and cultural milieu. It would be a strange thing if they held enlightened 21st century notions of race. This isn’t to say that Nephi and Jacob were racist in an identical sense to historic American racism. Racism can be manifested in varying kinds and degrees. I am not, however, accusing God of being a racist. Nephi’s and Jacob’s theology of skin color was clearly false, but it was a useful theological idea for their situation. 12 Comments Posted in . Even though there is nothing about this passage that would lead one to conclude that the Lord is identifying the ancient location of Zarahemla, in their desperation Heartlanders somehow seem to think that that is exactly the case. The more likely interpretation (and the correct one, as we will see) is that the Lord was simply naming the location after the Book of Mormon Zarahemla, much like other cities were named after ancient cities of renown (Carthage, Ill., Bountiful Utah, and Rome, TX come to mind). My friend Tyler Livingston pointed me to a crushing argument against the Heartland interpretation of this passage, an argument by Matt Roper which I had previously overlooked. 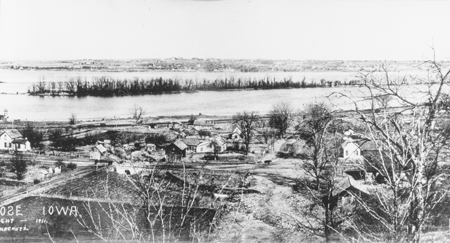 The area across from Nauvoo, which the Lord would dub “Zarahemla”, was in fact already called “Zarahemla” by some of the saints prior to the revelation of D&C 125, in March 1841. The Lord was merely using a name for the area which had already come into use by the saints, no doubt naming it after the Book of Mormon Zarahemla. The Prophet’s cousin, Elias Smith, also referred to a “conference at Zarahemla” in August of 1840 (that’s eight months prior to D&C 125). Matt Roper’s original publication and citations for these can be found here. The obviously correct interpretation is that the Lord was simply using the name already in use by the saints for the area, not revealing the ancient location of the Book of Mormon Zarehemla. 3 Comments Posted in . If you don’t need an introduction to the debate over what the meaning of “head” is in reference to the River Sidon, you can skip down to the bottom of this post. 1828 Noah Webster’s Dictionary: “Head” – Definition #23 = “Conflux.” Look up the definition for “conflux” and you get “A flowing together; a meeting of two or more currents of a fluid.” It also says for you to see “confluence.” If you look up “confluence” in the same dictionary you get “A flowing together; the meeting or junction of two or more streams of water, or other fluid; also, the place of meeting; as the confluence of the Tigris and the Frat, or of the Ohio and Mississippi.” And there you have it. In 1828, as Joseph Smith was translating the record, the conflux of the Ohio and the Mississippi was regarded as a “head” of the river. So, in order to get from “head” to “a meeting of two or more currents of a fluid” we have to use the 23rd definition, and then follow that definition across the dictionary. There have been various arguments against this interpretation, starting with the fact that the river seems to flows from Manti through Zarahemla, and that Manti is south of Zarahemla and the text seems to indicate that Manti is higher in elevation than Zarahemla. 13 And as I cast my eyes round about, that perhaps I might discover my family also, I beheld a river of water; and it ran along, and it was near the tree of which I was partaking the fruit. 14 And I looked to behold from whence it came; and I saw the head thereof a little way off; and at the head thereof I beheld your mother Sariah, and Sam, and Nephi; and they stood as if they knew not whither they should go. Here we have Lehi, in a vision, associating the “head” of the river with the place “from whence it came”. This is an obvious blow to the idea that the “head” of a river in the Book of Mormon is anything but its starting point. I don’t want to overdo it though, because it isn’t the case that this one example of the use of “head” in reference to a river should dictate the way we interpret it in all other cases. The immediate and broader contexts of individual instances should be taken into account. However, we do know for a fact that in at least one case in the Book of Mormon the “head” of a river unambiguously refers to the place “from whence it came”. On the flip side, there are no examples anywhere in the Book of Mormon where the “head” of a river unambiguously refers to a “confluence”. I failed to mention here an article that I authored which was published by the Interpreter last November. Abstract: Joseph Smith’s First Vision is a favorite target of critics of the LDS Church. Evangelical critics in particular, such as Matt Slick of the Christian Apologetics and Research Ministry, seek to discredit the First Vision on biblical grounds. This article explores biblical theophanies and argues that Joseph’s vision fits squarely with the experience of ancient prophets, especially those who are given the rare blessing of piercing the veil of light and glory, the Hebrew kabod, that God dwells within. The backstory on this paper is pretty simple. I stumbled upon a Youtube video of Matt Slick, of CARM, attempting to debate a group of LDS youth who were entering a temple in Idaho. He whipped out 1 Timothy 6:16, a strategy which I’ve personally experienced in my limited interactions with Slick online. Years ago when I first encountered Slick’s arguments along these lines I pounded out a few preliminary thoughts in this old blog post. Many of those early ideas made into my paper. The paper is primarily apologetic, but it involves some exploration of biblical themes which was very interesting and educational for me as I researched the topic. I am a working professional in a completely irrelevant field, so I am not an expert on the issue. I don’t anticipate publishing more essays at a steady pace due to time constraints, but I do hope to publish occasionally throughout the years. Newell G. Bringhurst, “Section 132: Contents and Legacy” in The Persistence of Polygamy, (Independence: John Whitmer Books: 2010), 83-84. 7 Comments Posted in .